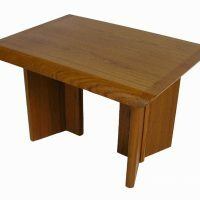 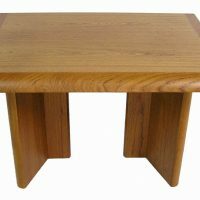 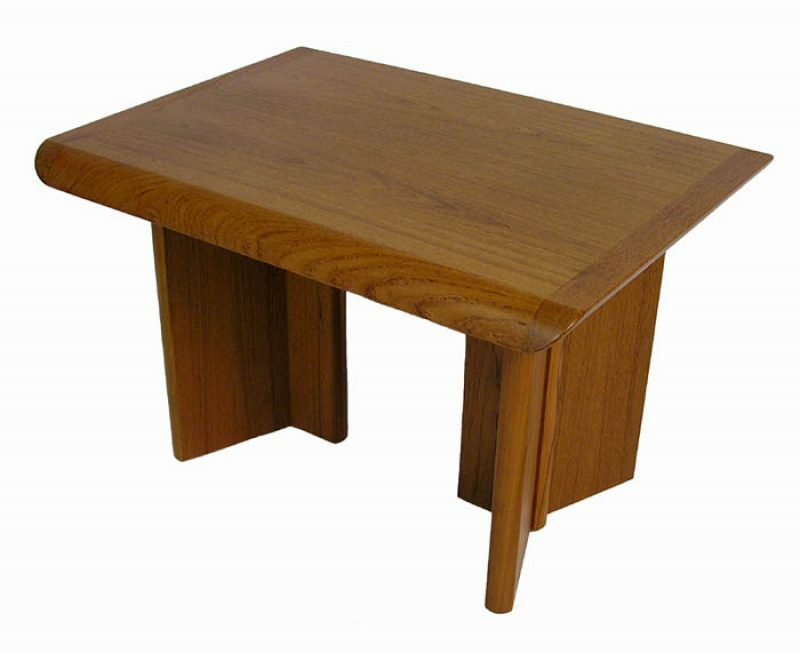 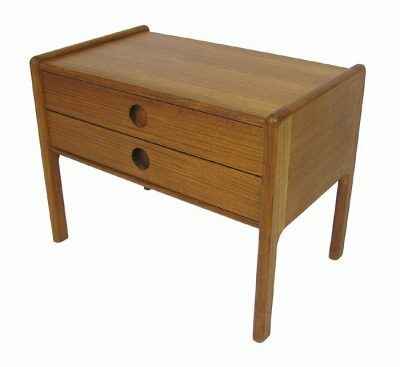 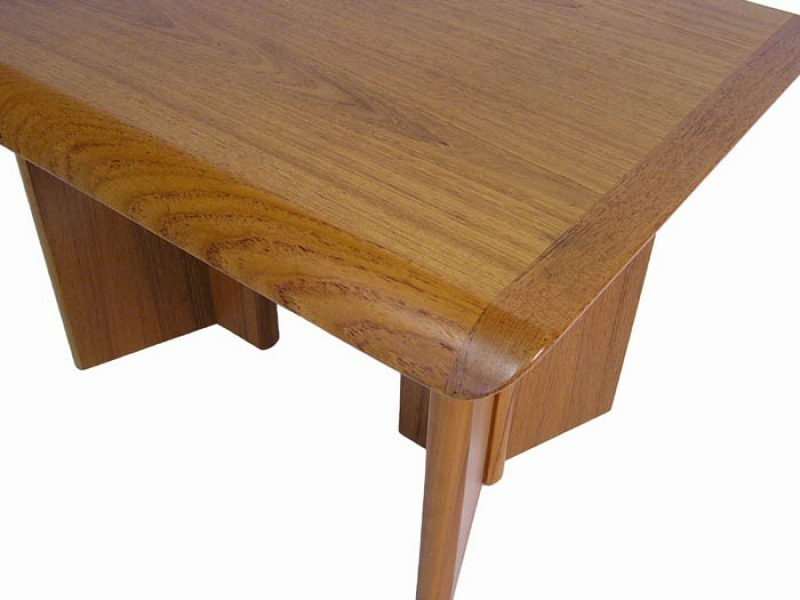 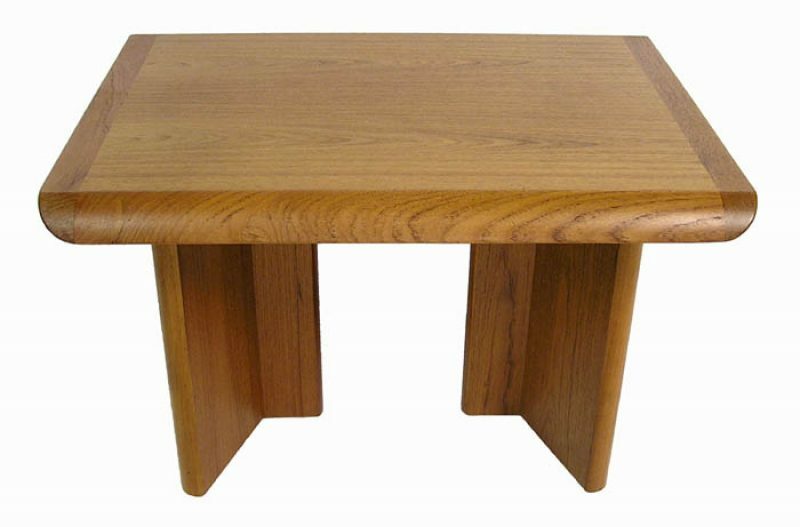 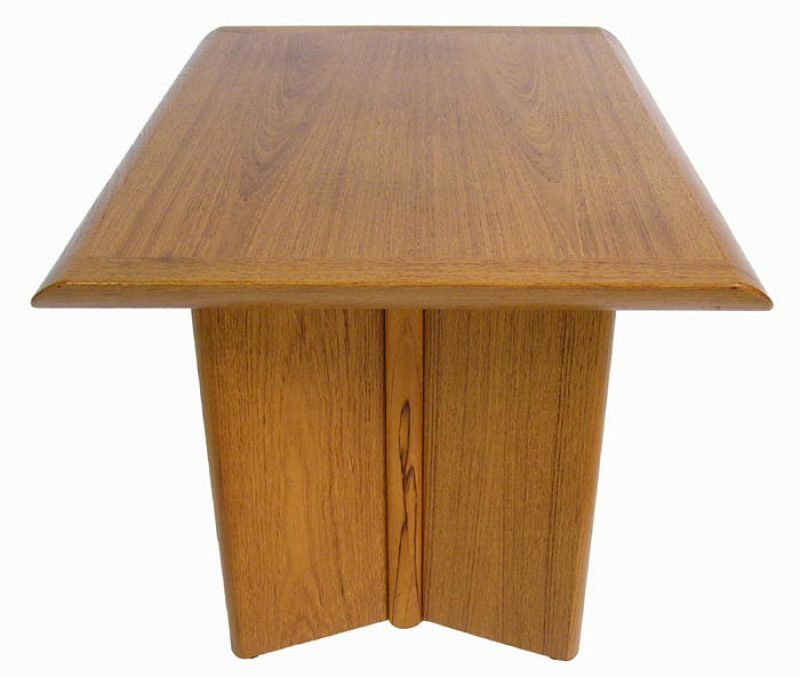 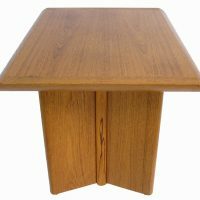 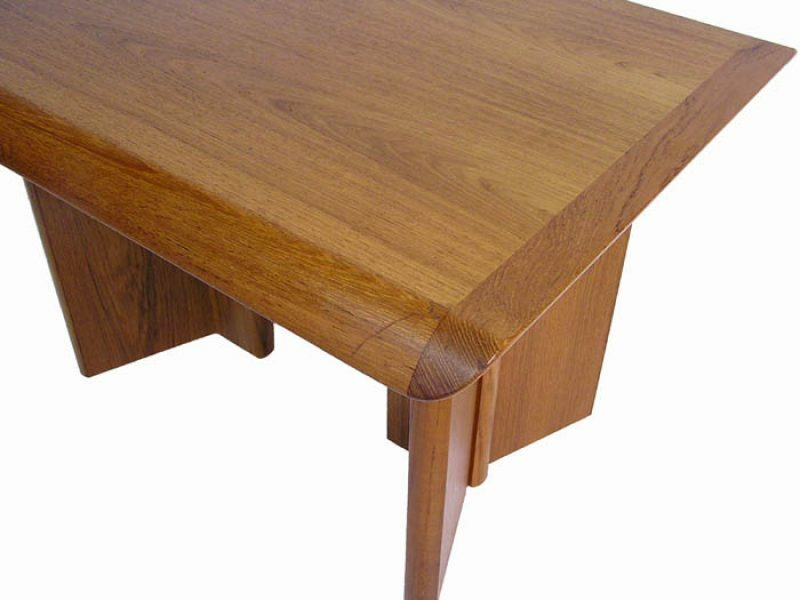 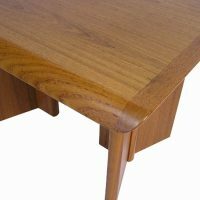 A vintage teak end table from the 1980s by the Nordic Furniture Company of Canada. 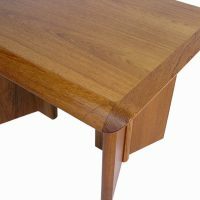 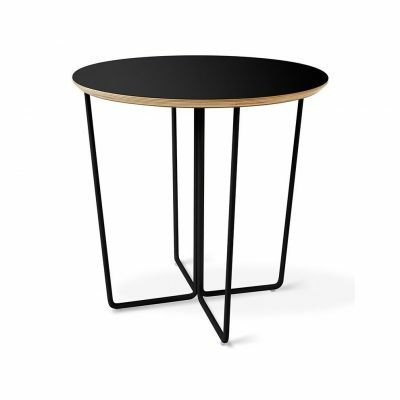 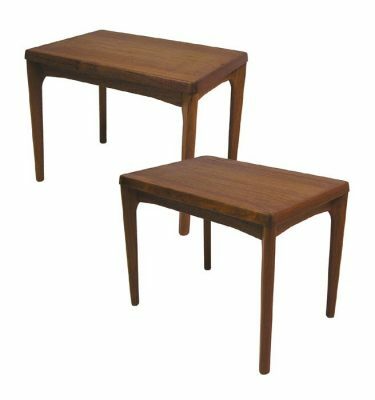 Beautiful craftsmanship throughout featuring a tapered solid teak edge with pedestal style legs. 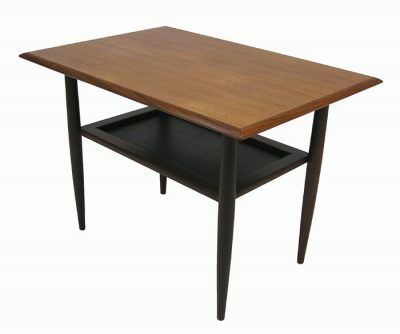 Dimensions: 30 3/4" Long x 23 3/4" Wide x 20" High.